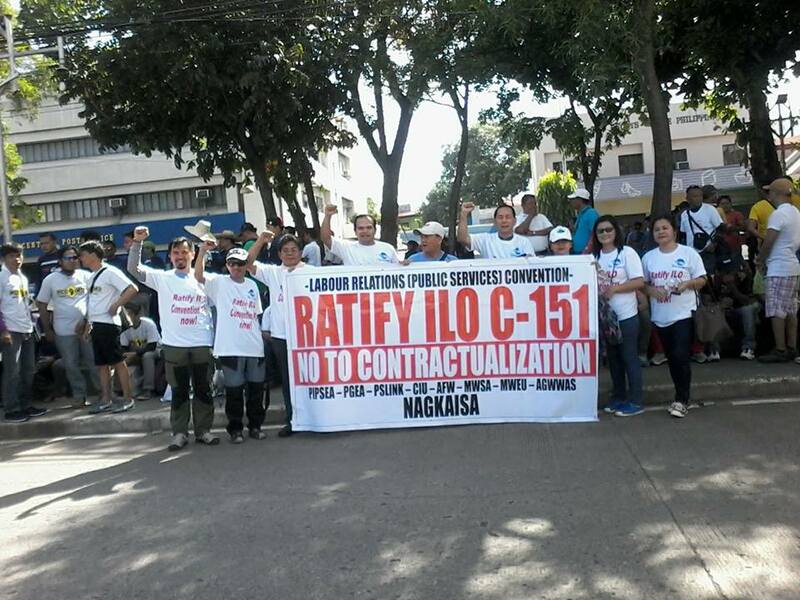 Sentro ng mga Nagkakaisa at Progresibong Manggagawa joins the global working peoples in their 130th commemoration of International Labor Day. Filipino workers have been commemorating the International Labor Day and the continuing struggles of the working masses since 1903, inextricably tying it to the anti-colonial struggle. Faced as it is by monumental challenges and massive societal roadblocks, SENTRO remains undaunted and steadfast in its commitment towards organizing, fighting and winning on behalf of the working peoples of the Philippines. In less than a year, President Rodrigo Duterte has seen his popularity and trust ratings erode by 7% and 11% among the working poor. While a number of the population remains unperturbed by this, this development is an indicator that a significant section of our people is beginning to fear for their lives— and perhaps even regretting their complicity to the election of an unrepentant violator of human rights and democratic institutions. The working people gave Pres. 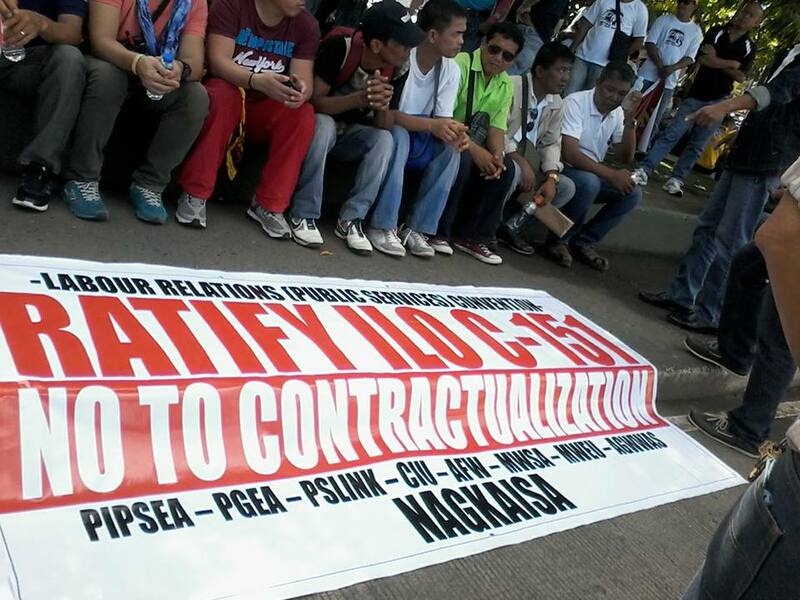 Duterte the benefit of the doubt on his promise to end the oppressive policy of labor contractualization. We hoped that Pres. Duterte will dismantle and replace the much-criticized Department Order No. 18-A. But our hopes were met with grim disillusionment with Labor Secretary Silvestre Bello's release of Department Order No. 174 last March 19, 2017. 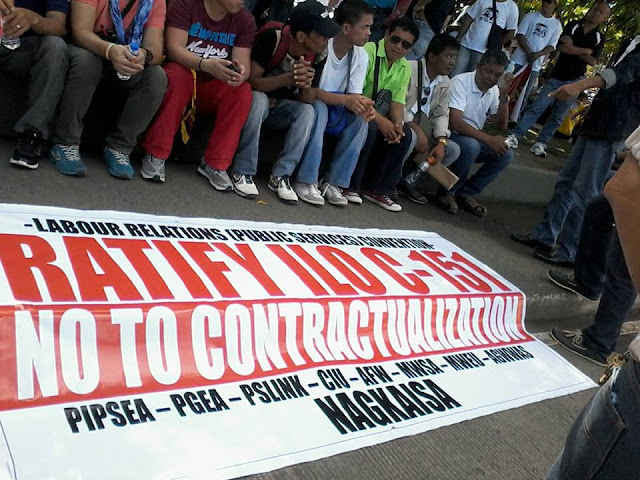 This policy will perpetuate contractualization by: a) allowing businesses to hire workers through agencies; b) allowing cooperatives to engage in labor contracting and subcontracting; c) no longer requiring the principal employer to provide unions a copy of the service contract; and d) allowing contracting agencies to further downplay the price of labor costs—guaranteeing even lower salaries and benefits for workers across industries. Clearly, DO 174 widely differs from what Pres. Duterte has promised. Truth is, the Duterte regime is only consistent in one thing: it wants to kill, and the freedom to kill who it wants to kill. The spate of extrajudicial killings occurring all over the country—ostensibly sponsored and abetted by the Philippine National Police's Oplan Tokhang and Oplan Double Barrel—has claimed anywhere between 8,000 to 10,000 lives already. This has worsened the situation of poor women, leaving them in trauma, isolation and greater vulnerability to further abuse such as prostitution. In addition to this,the Philippine Congress reintroduces the death penalty,and was passed by the House of Representatives last March 7, 2017, awaiting advancement in the Philippine Senate—despite the Philippines’ international commitment to treaties not to do so. Another legislative bill intends to lower the minimum age of criminal liability to nine (9) years of age, pushing back the victory in the past of children’s rights groups. It is probably not without reason that this culture of death has been roundly condemned by the international community. The “War on the Poor,” as it is, has made a mockery of its initial propaganda to rid us of the menace of drug dependence and promote a secure, living society. While the poor is being killed, the drug profiteers like Peter Lim are left scot-free. As expected, the elites are in no hurry to oppose or even modulate the Duterte regime’s reign of terror and death. Many of these politicians have kowtowed to Malacañang, probably in anticipation of the impending push for charter change, which may see the Philippines parcelled around longstanding political dynasties and the further dismantling of the country’s economic infrastructure through their hard-selling of Federalism. Once again, it is up to the working people and their labor movement to defend our rights, even as we continue to deepen democracy in the country. It is for this reason that SENTRO, together with its allies amongst the progressive forces, is calling on all freedom-loving Filipinos to stand up and be counted in the fight to stop the killings, block Duterte’s Death Policies – the reimposition of the death penalty and the lowering of the age of criminality – and to resist moves to amend the constitution to institute “constitutional authoritharianism.” SENTRO believes that workers' and trade union rights cannot genuinely exist if human and democratic rights are compromised and thrown to the gutter. We call on the working people to continue the struggle against contractualization and the precariousness of living sustained by the Duterte regime’s neo-liberal policies. Let us assert our basic right to a dignified and genuinely safe society—not the selective security of the privileged that preys on the massacre of the poor.